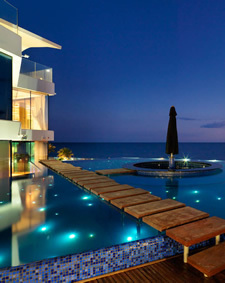 Established in 1992, Country Rose Ltd is a property development company based in Limassol, Cyprus. The company began its operations in 1992, with its first project in Platres, a popular holiday resort located in the Troodos Mountains. After the successful completion and sale of the Platres project in 1998, Country Rose began its work in the village of Souni, where it has been successfully building homes of distinction ever since. Country Rose strives for excellence in every aspect of the company’s operations. Quality is ensured by the fact that the construction company is fully owned and operated by Country Rose, which means every aspect of the process of construction is under our control and can meet our stringent quality criteria. Aftersales play an equally important role for the company and our goal is to offer full support to the client long after completion of the sale of a property, providing him with help and assistance wherever required. We produce consistent quality in all of our developments and undertake projects which hold an enviable established reputation for excellence. We also seek to explore new and exciting projects through which we can showcase cutting edge technology and style. Examples are our current Santa Barbara Residence project in Ayios Tychonas and The Gold Star project in Souni.